Recently released studies may encourage you to grab an extra cup of joe tomorrow morning. According to Webmd, "Researchers found that daily coffee drinkers were up to 18 percent less likely to die over the next 10 to 16 years, versus non-drinkers." The statistics, based on more than 700,000 middle-aged and older adults, appeared online in the July 11 issue of the Annals of Internal Medicine. The studies, which don't prove that coffee drinking extends life, prompted responses from a dietitian and a doctor, both serving the Portland area. "It (the studies) is confirmation that, at the very least, drinking coffee doesn't seem to be bad for our health, at all," Tracy Severson, a registered dietitian with Oregon Health & Science University, said. "It may also give us some added benefits, or protective benefits, so I think we can all, kind of, sleep easily knowing that our coffee drinking isn't bad for us." Talking about some possible health benefits, Severson said, "It (coffee drinking) does seem to be linked to lower rates of, especially, type 2 diabetes." It is also linked to lower rates of several other chronic diseases, including Parkinson's and some types of cancer. "There haven't been enough direct studies (speaking of health benefits)," Severson said. "A lot of these, again, are just observational studies that show a correlation." Severson is comfortable, however, recommending 3 to 5 cups (8 oz.) of daily coffee. "More than that can cause some difficulty," Severson said, noting some people may feel anxious or jittery, or experience insomnia. As for decaf, Severson noted, "There seems to be benefits to just drinking coffee, in general. Coffee is a rich source of antioxidants and there seems to be something else going on specific to the coffee, independent of the caffeine content, that is giving us some health benefits as well. A lot of these studies have shown benefit from caffeinated and decaf coffee, which is really interesting." Dr. Charles Elder, a general internist with Kaiser Permanente in Portland, has his opinions on coffee consumption. Noting that the recent studies show an association, not causation, when it comes to coffee drinking and reduced mortality, he said, "I think coffee in modest amounts is OK. But we need to be careful because drinking too much coffee can be a bad habit, just as drinking too much alcohol can be a bad habit." Problems from coffee can include high blood pressure, anxiety, anger flairs, worry and insomnia. Elder said caffeine is just going to make that worse. "I definitely wouldn't recommend that someone start drinking coffee if they're not a coffee drinker now," Severson said. "I don't think that we know enough about any health benefits to support that. Also, some people just prefer tea. There are certainly a lot of health benefits to drinking tea regularly." Severson added, "I can't say that coffee is necessarily better than tea, or vice versa, but I think for someone who already drinks coffee, it certainly seems to be safe and, also, maybe, beneficial." A larger problem, according to Severson, is what we put in our cup of coffee. "I think the bigger problem, that I see much more often, is not the coffee but all the other things in the cup with it," Severson said, adding that flavored creamers can contain trans fats, saturated fat and a lot of added sugars and added calories. "It's becoming a really big source of excess calories in people's diets," she said. No need to feel guilty about having a few cups of coffee. Elder said, "Less is more, if you want to drink a cup or two of coffee in a day, on a cold, wet day, it's not going to hurt you." "It's anything but clear as to where the benefits come from," says Marc Leavey, M.D., a primary care doctor at Lutherville Personal Physicians in Maryland. That's because coffee has hundreds of ingredients. Some occur naturally in coffee beans, and others are created when roasting or brewing. Phytochemicals. Don't let the word "chemical" scare you. These are healthy antioxidants made by plants. Antioxidants reduce inflammation and help cells grow better. Caffeine. You probably already know coffee is full of this stuff. How much depends on the bean and how you brew it. But even decaffeinated kinds have some traces of it. 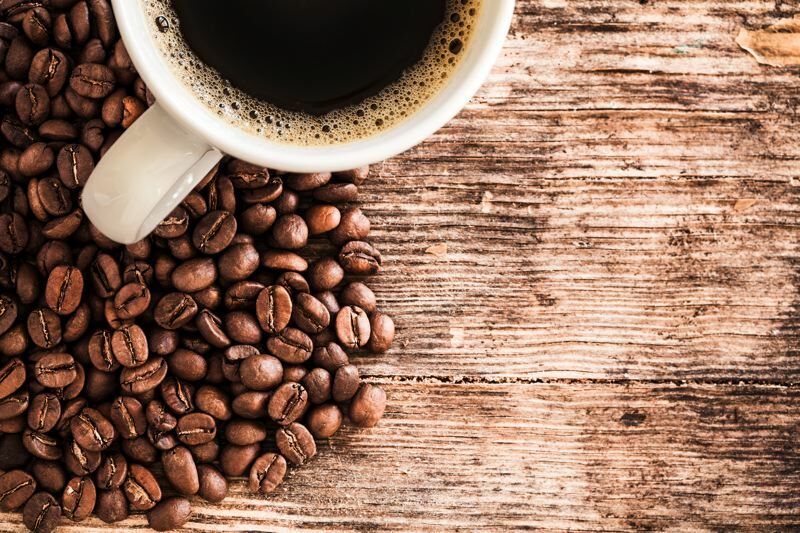 "Coffee provides caffeine, a stimulant that keeps our brains active, and plenty of antioxidants that can help prevent many common chronic diseases, such as diabetes," says Brian Doyle, M.D., a clinical instructor at the UCLA School of Medicine.